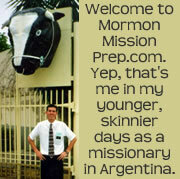 I met the Godoy family, when I was serving in the Godoy ward in the city of Rosario Argentina. Carlos and his wife, Beatriz, were at a photo shop, with their two children, Carlos Jr. and Angelica, getting a family photo made when my companion and I walked into the store. 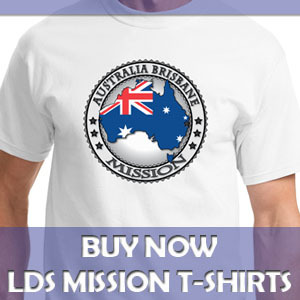 We commented on what a cute family they were, and we chit chatted for a minute, but we really didn’t talk about the gospel before they had to leave. The next day, we were visiting a new member at his work and we just happened to run into Carlos Godoy again. This time we did talk to him about the gospel, and he seemed eager to learn more. We asked if we could come to his home to teach a discussion to his entire family, and we set the appointment for a few days later. When we arrived at the Godoy’s home for the first discussion, we found their modest home in pristine condition. We could tell they really made an effort to prepare for our visit. We sat down with the whole family around the table and talked about the gospel of Jesus Christ, Heavenly Father’s plan of happiness, the restoration of the gospel through Joseph Smith, and the Book of Mormon. 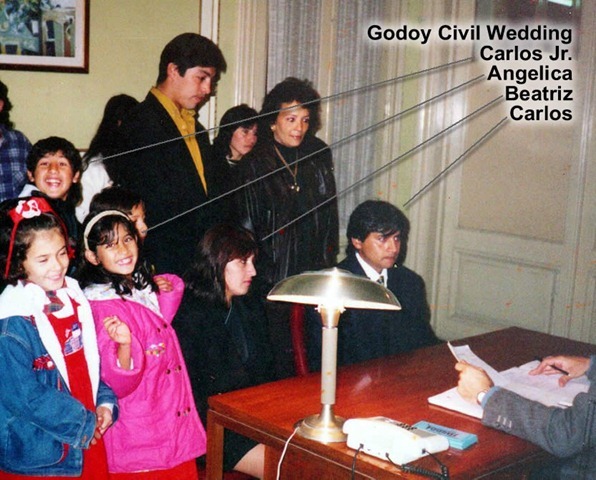 The Godoy’s were eager learners, and they seemed from the beginning to be a ‘golden’ family. We scheduled the second discussion, and that lesson went very well. We invited them to be baptized, and they said they wanted to. Unfortunately, though, we found out that they were not legally married, which meant they couldn’t get baptized until that happened. Carlos and Beatriz had been together since high school, but due to the expense and other factors, they had never been legally married. When 8-year-old Angelica heard that they couldn’t get baptized until her parent got married, she exclaimed, “Casense Ya!” (Get married already!). So the Godoy’s immediately planned their wedding. They got married at city hall, and the mission president let my companion and I go, even though it was out of our area. That night they had a big wedding reception, but, unfortunately, we couldn’t attend that party. 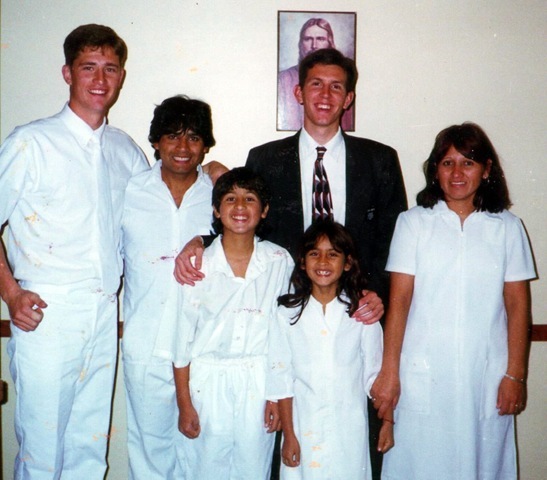 Then the following Sunday, July 13, 1997, the entire Godoy family got baptized. It was a wonderful occasion to see this beautiful family get baptized and start down the path to eternal life together. Carlos, the father, was so happy to be baptized and have a new, clean start on life. In his earlier years, Carlos drank and made other mistakes, but he has thoroughly repented and very happy with his life now. Beatriz was so happy to see her entire family get baptized together; she loves her family a great deal. Beatriz did have some doubts about getting baptized because she talked to an inactive member who urged her not to get baptized. She expressed those doubts in her baptismal interview, so Elder Bray, who was conducting the interview, gave her a priesthood blessing of comfort. She felt the Spirit very strongly, and the Lord removed all her doubts, and gave her the courage to go forward and do the right thing of getting baptized. Little Carlos also said he got a little nervous prior to his baptism, but when he saw his dad and mom do it, he was very excited to get baptized himself. And as for little Angelica, what else can I say except she truly was a little angel. Meeting and baptizing this family was another case of the Lord doing all the work and my companion and I being in the right place at the right time. We were so blessed to meet this family and see them become members of God’s kingdom on earth. And I can’t wait to see them again, whether it be in this life or the next.